Now we all know how much I love to find treasure at jumble sales, bootfairs and charity shops. Its become a great little hobby of mine, I must admit. 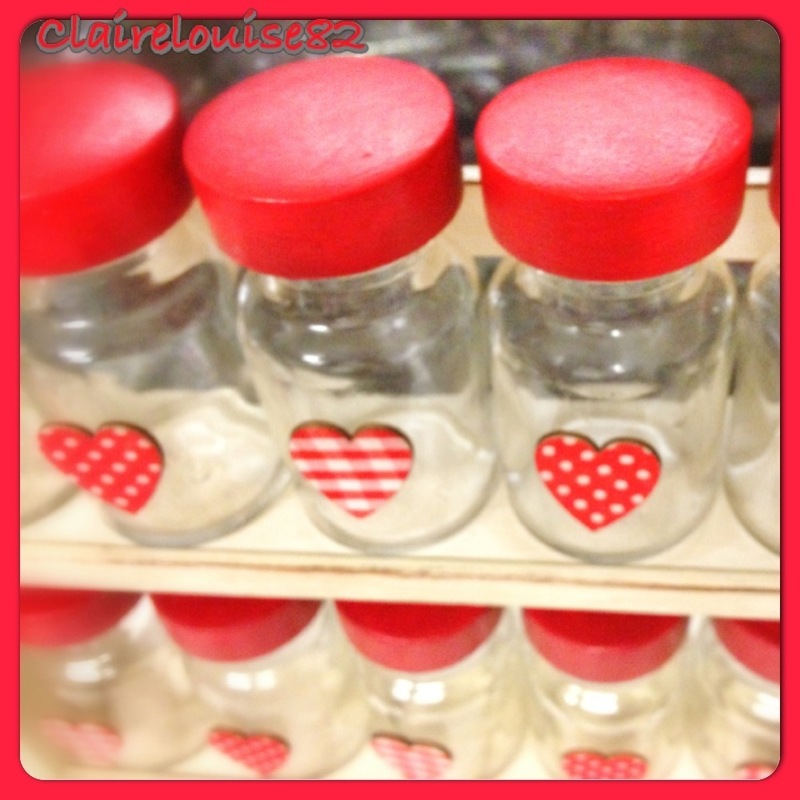 A few weeks back I discovered a wooden spice rack with 12 cute glass jars, all with horrible wooden lids. Now, this definitely wasn’t the prettiest of spice racks, but somehow I had my shabby specs on & could see past its less than attractive appearance! In fact, this shabby dark rack and its jars were now a vision of beauty within my mine and for just pennies (50 of them to be precise) I just couldn’t walk away without it. 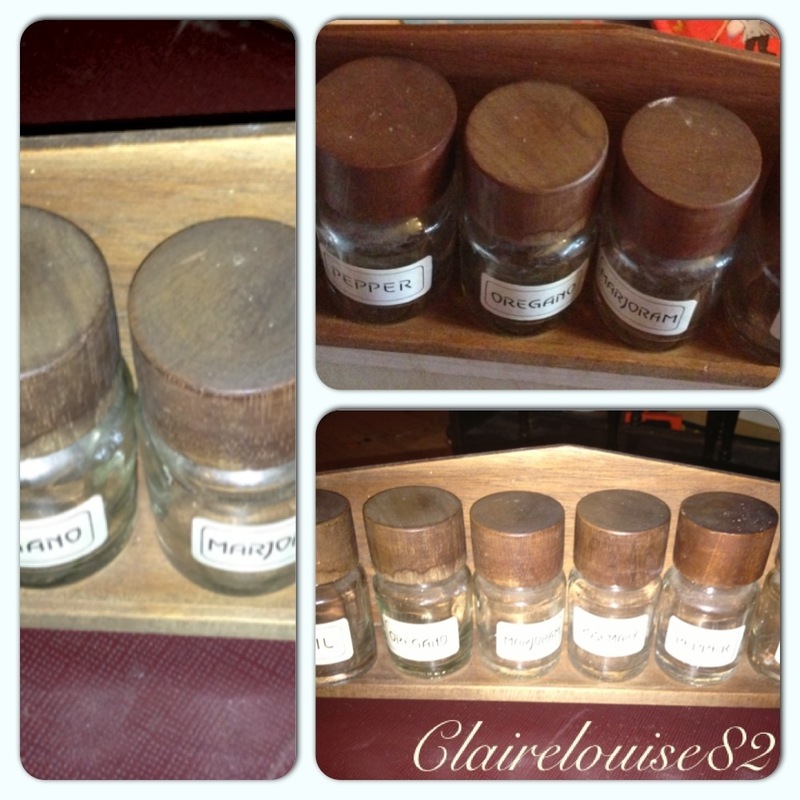 So, the spice rack became another of my vintage finds, one needing a bit of tender loving care! So a plan unravelled in my head. 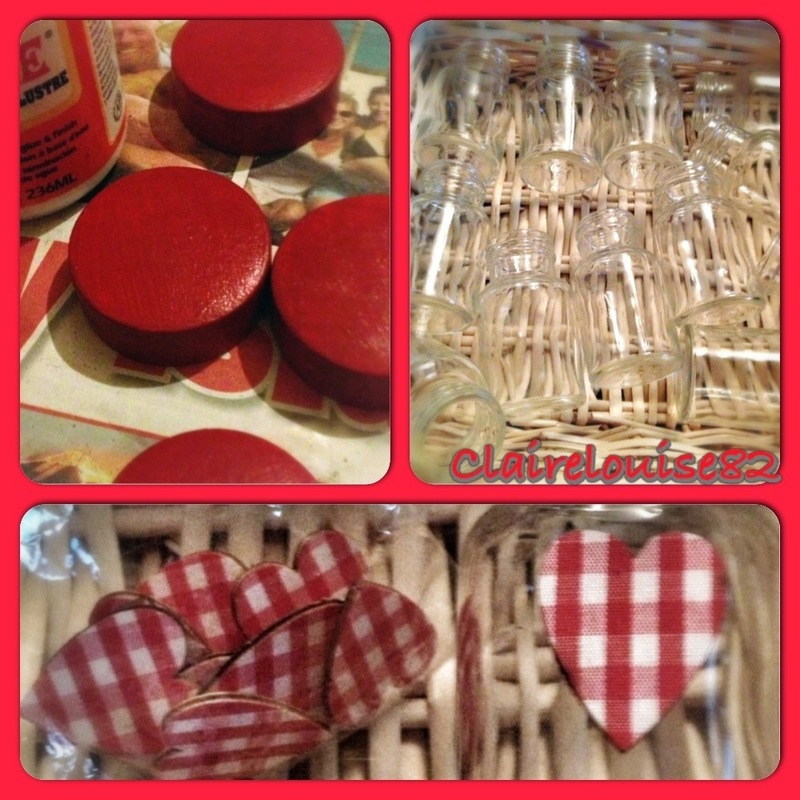 One involving antique creams and bright reds, gingham & spotted hearts. I was gonna transform this spice rack into something gorgeous. Sadly I forgot to take a picture of the old spice rack all set up and looking horrid. However from the step by step images that include all the parts (yes, rack, jars and lids) you can clearly see why it needed an upcycle. first step was to prepare the rack and wooden lids for painting. I did this by first washing my wood with warm soapy water. I dried them fully and then gave them all a good rub over with the sand paper. The last step was to remove all traces of any sand paper dust with a small brush before finally giving it another wipe over with a damp cloth. Once my rack & all 12 wooden lids were all clean and dry I was technically ready to apply a prima to my rack, however, I felt that it wasn’t really needed so instead I skipped this step and went right on to applying my first coat of antique white paint. I used the biggest brush to paint on the paint but used the smaller brush to paint the racks corners and edges. If you want to do this then Its important to remember to paint just one thin layer of paint, leave to dry and then paint on another layer this way you won’t end up with drip and brush marks. I ended up giving my rack 4 coats of the antique white paint and did start to wonder why I ever thought I could skip painting them white beforehand so didn’t make the same mistake with my lids. With this I painted my 12 jar lids in 2 coats of white paint as a base coat and left to dry. Once my white paint was dry I then went on to give my 12 jar lids 2 coats of ‘Santa Red’ letting them dry for around 20 minutes between coats. Once dry all lids got a coating of mod podge that I applied with my thick makeup sponge. The next step was to add some character to my rack and shabby it up a little. With the 100 grit sand paper I rubbed it along the edges of my stand, removing some of the paint to reveal the dark wood underneath. This gave the impression of age, making the rack look as though it had encountered natural ware over the years. Next I made sure all dust was removed from my rack with a brush and a damp cloth. With my sponge I then gave my rack a layer of good old mod podge. 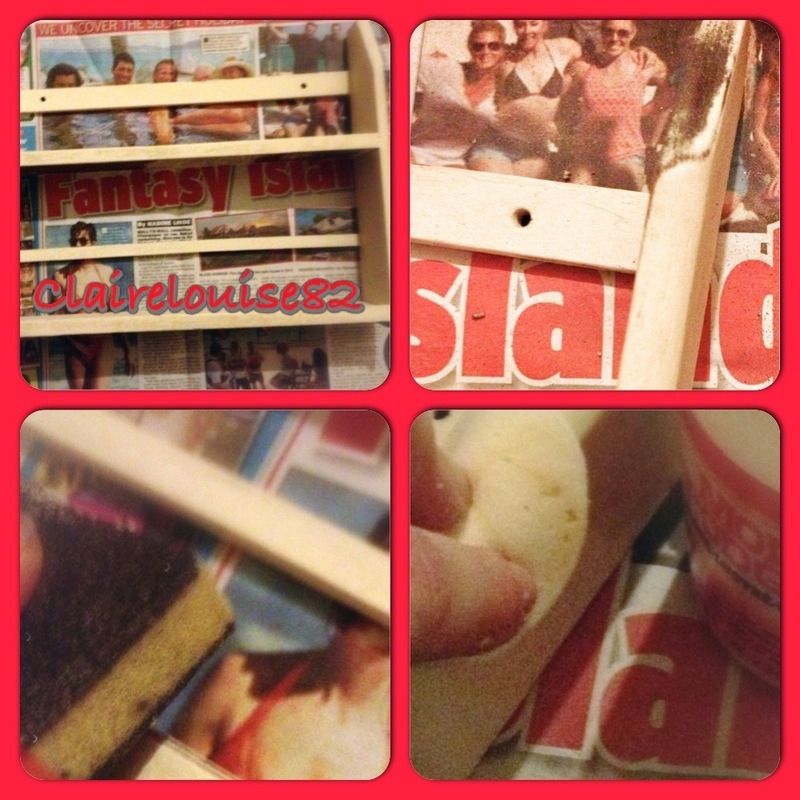 Mod podge is great and will give my rack a nice coat of protection. 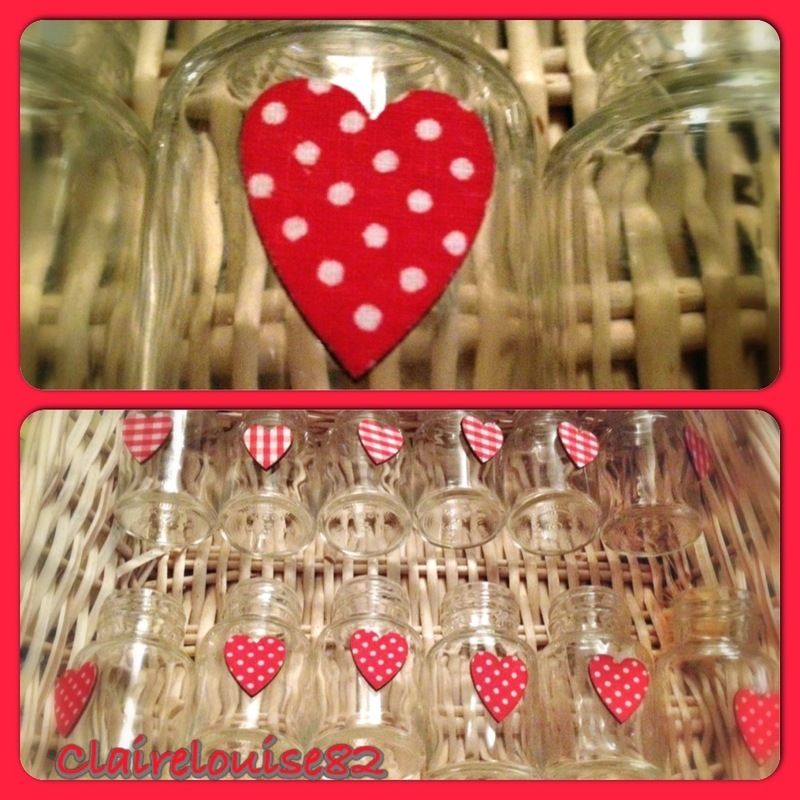 Making sure all jars were nice and clean I then applied the 6 self adhesive gingham hearts and 6 spotted hearts to the middle of my 12 jars. I gave these a layer of mod podge for protection. 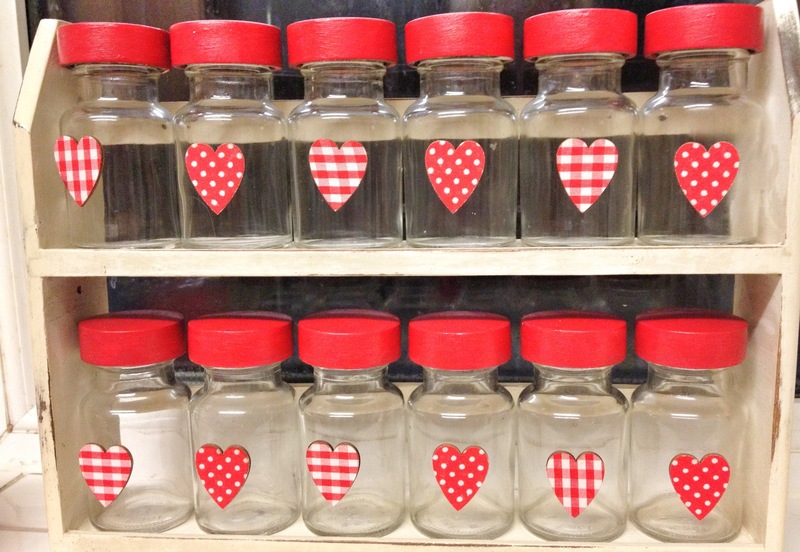 Finally I lined all 12 jars onto my rack, gingham, spots, gingham… and so forth and then stood back to admire. 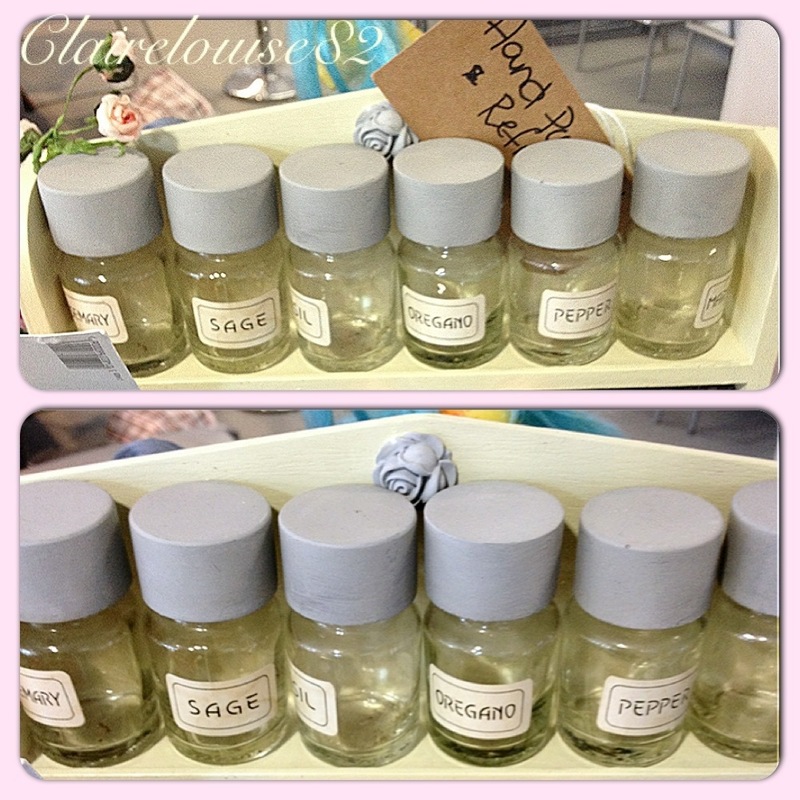 At this point you can add pretty ribbon or thread 12 miniature tags through some twine, adding the names of you’re spices to the tags before looping them over the jars. This is optional! I didn’t feel the need to do this as I’m pretty good at knowing whats what… Plus if I’m ever in doubt a quick sniff always sorts it out. 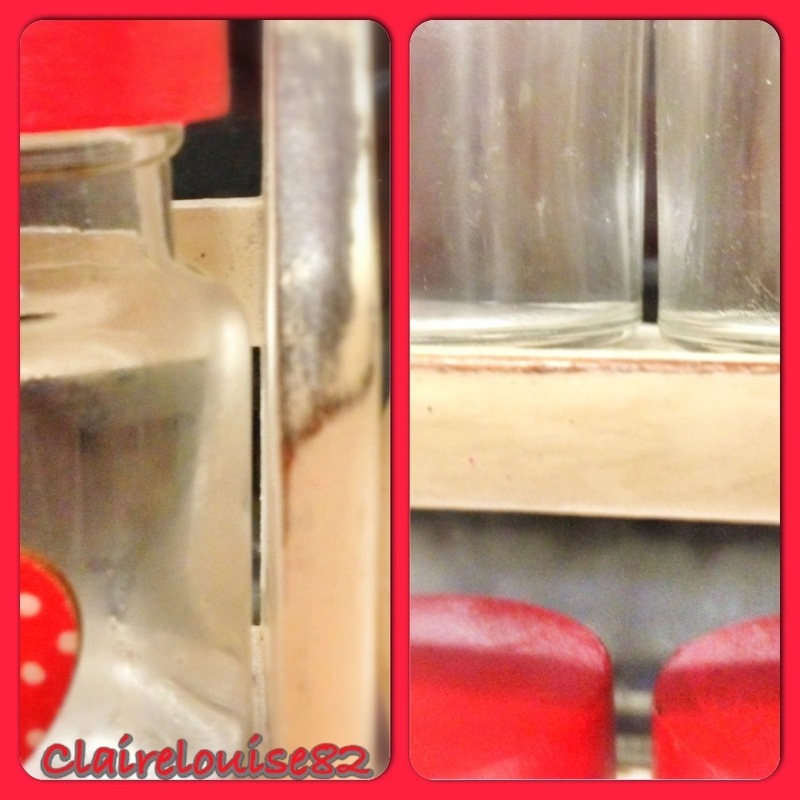 So… There it is… My antique white spice rack with a splash of Santa red. I’m really pleased with the results and the difference is actually really big considering I’ve only used a few items to help form this transformation. 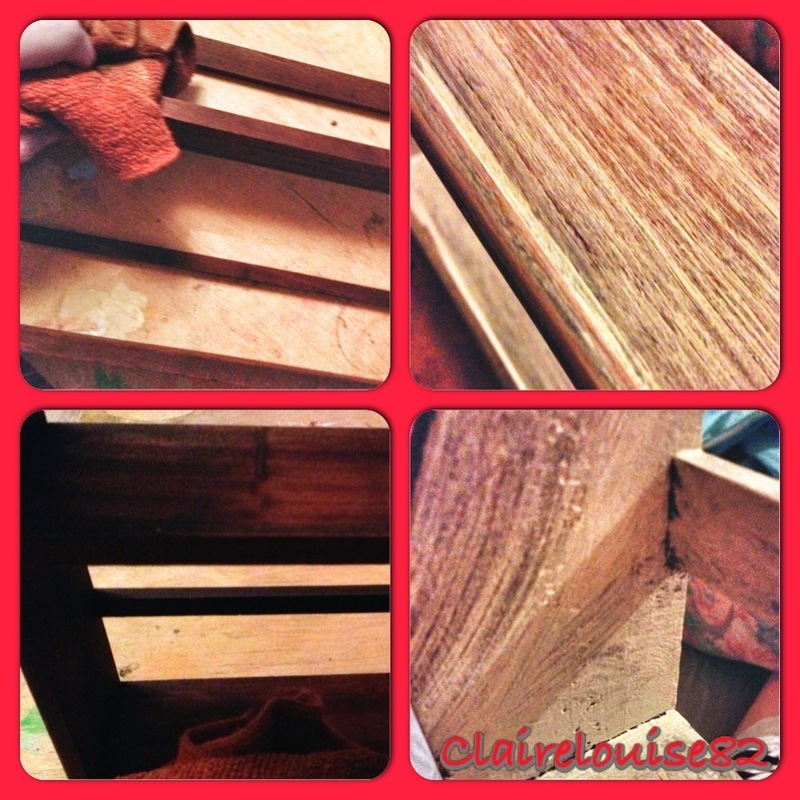 Talking of transformations, I’m currently refurbishing a number of furniture items I’ve brought for my bedroom. 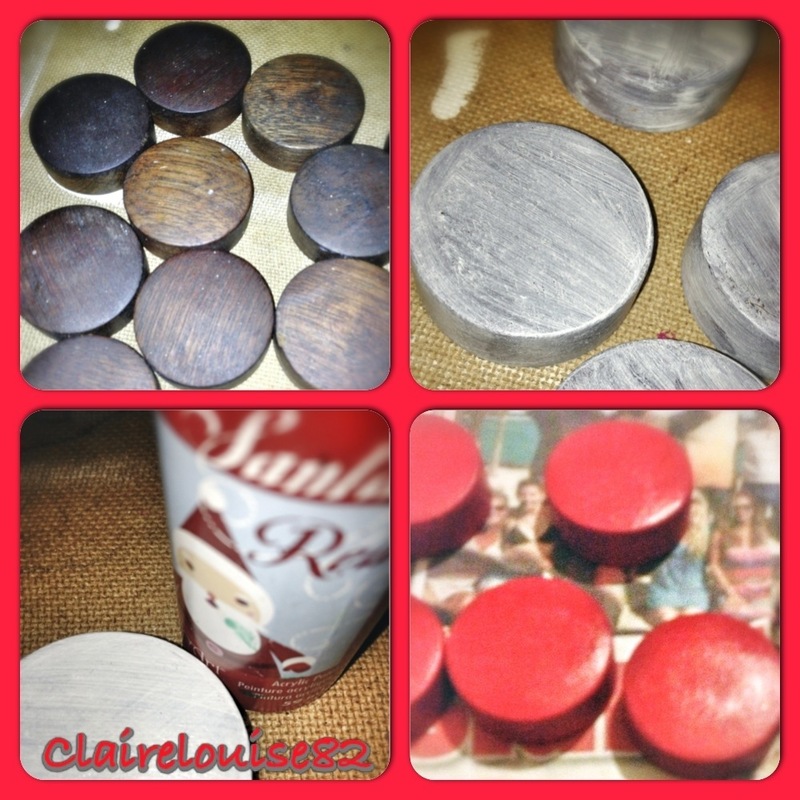 I’m using Annie Sloan chalk paint and clear wax and hope to share my progress of the next few days. 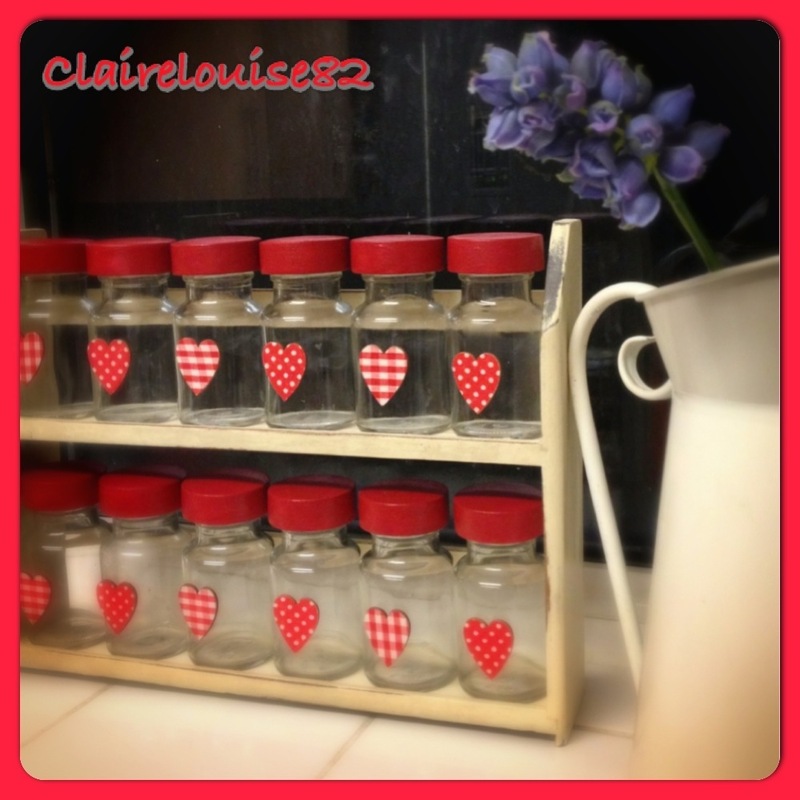 As for my shabby upcycle, I would love to hear your thoughts?